BE HAPPIER AT WORK: SPACES, DESIGN, LIGHTS AND… COOPERATION. People’s feeling can be powerfully influenced by the environment in which they find themselves, and usually we don’t put attention on it. To be happier at work is essential the environment we act in, in the meaning of spaces, design, light and collaboration with colleagues. We work a lot of hours a day, and we have to survive at best. Be happier at work is connected with several causes, personal and environmental. How we feel and how we behave with other people is conditioned also by the places we are in. It’s looks curious, but it’s well-known. For that reason work spaces have to be supported by furnitures designed for it. Companies who works on Office furniture have to match spaces and design needs, for the best outcome. Let’s see together the main points to project a pleasant work space. Arrangements to be happier at work. Be happier at work is: having the right space for working well. Several workspaces like: office, shared office, meeting room, common space and more, need appropriate furnishings. Every employment needs a specific room to encourage people to the final objective. 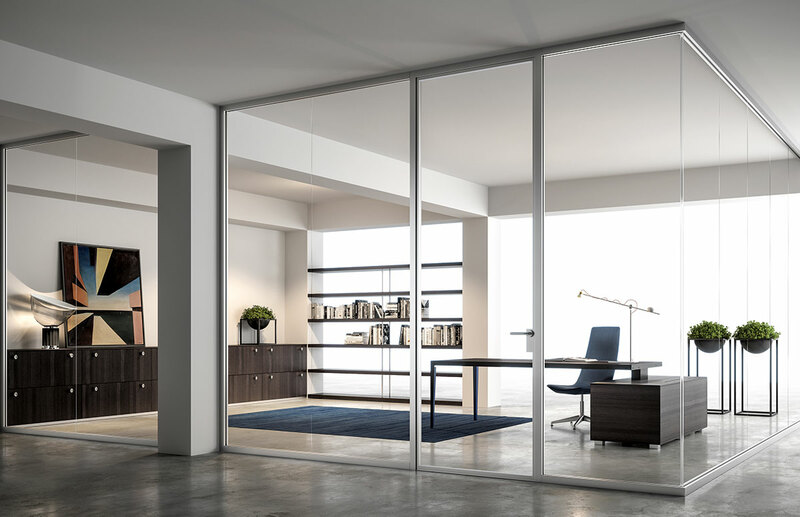 Inner partition have to support the visual contact between workers and impart space aperture. 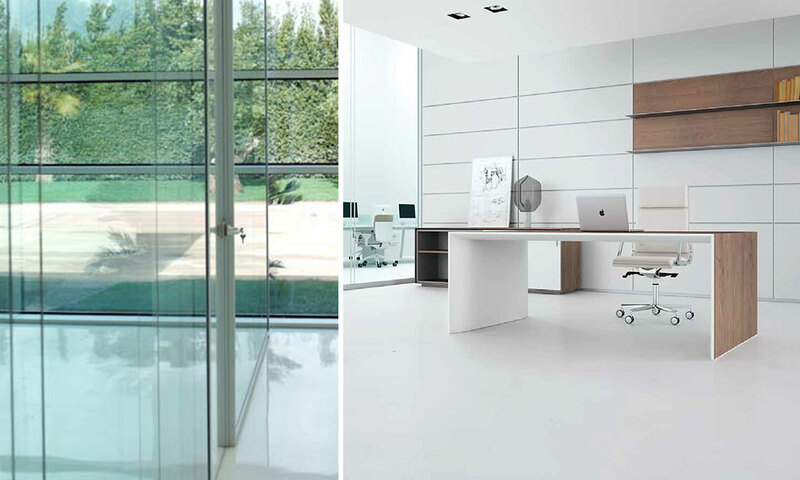 Constrict space are discouraged to favour rooms define by translucent walls, that can be darkened in case of need. Light plays its roles on space definition, the natural one from outside as the artificial one. 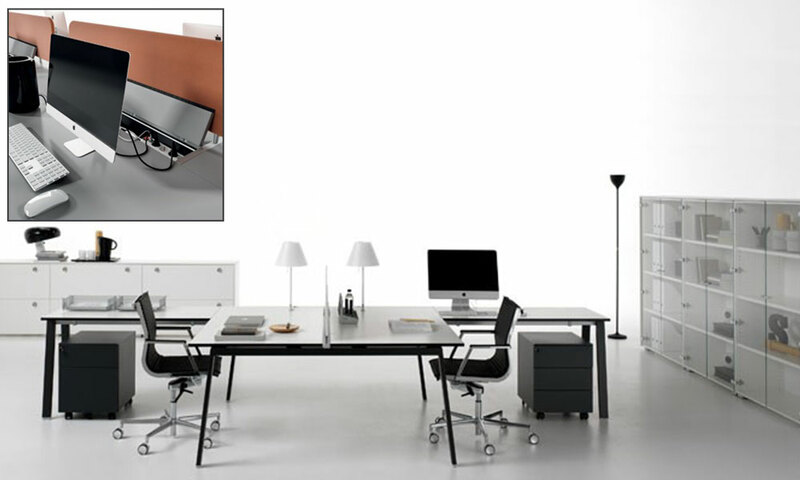 Be happier at work is: be helped by the right furniture to work with order and practicality. Office furnishings play on formal linearity and high performance to guarantee convenience and comfort. 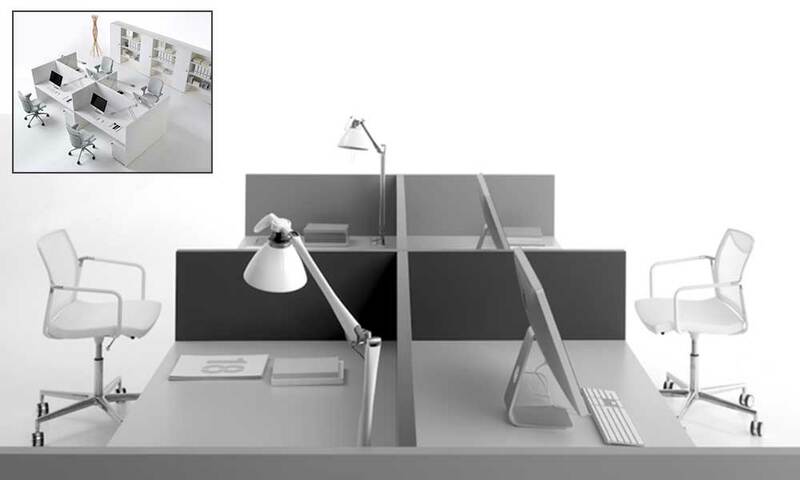 Workstations have to be equiped with broad desk , compartments, glove compartment, cable hole, drawers and shelfs. 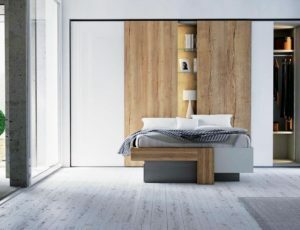 Furnitures that guarantee ease of use and resistance. Storages and compartments need to be spacious. Our eyes perceive continuously visual stirring, also from objects and materials. That’s why is important to choose well furniture and decor stuff. >> Great solutions for work spaces : look at Doimoffice. Be happier at work is: be surrounded by a luminous environment that did not totally hide us from the time of the day. Everything’s we do is related with light, except sleeping. The light has three different effects on humans: visually (through the eyes), emotionally (mood’s conditions), biologically (conditioning the physiological functions). To be happier at work don’t forget to design spaces with the right lights. Preserving the visual contact with the exterior , and the day evolution, helps our mind to be dynamic. Light incites wellness feeling, creativity and attention on work. Take benefit from additional direct lighting to illuminate particular working areas. Nowadays people pass 80% of the day in inside, so the attention on lighting is basical, especially where natural light is absent. Be happier at work is: work on an healthy space. Plants conduct an important role on purify inner air pollution. From several studies we know the name of some kind of plants that are perfect for staying in work places. Green is relaxing and plants presence improve productivity, humor and the indoor pollution. Some names: Agave, Aloe, Bambù, Dracaena marginata… How many plants we need? Not so many. One plant covers a ray of 2 m large. To conclude, be happier at work is only the beginning for carrying out a good work. NEW WALK-IN CLOSETS BY DIELLE MODUS. 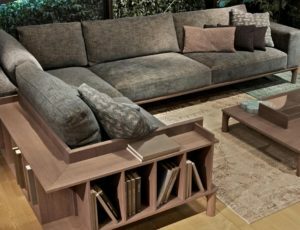 REMOVABLE SOFA, THE WAY TO CHANGE EASILY. SALONE DEL MOBILE 2018: DOIMO SALOTTI, BETWEEN UNRELEASED AND REINTERPRETATION. HOMEWORKS ARE BETTER IN KIDS BEDROOM WITH A STUDY CORNER.